Our popular Fluttering Butterflies are now in stock. 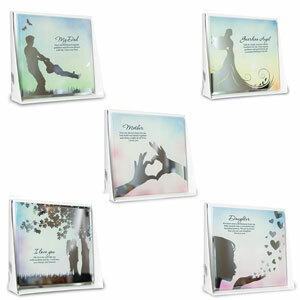 Four assorted colours, sold as singles or for a better price point in boxes of 20 or 80. All come in a great retail display box. Check our website for detailed price options. 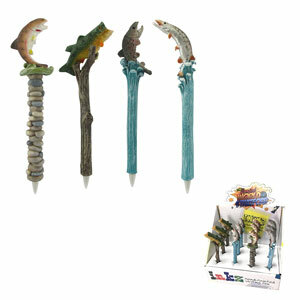 Novelties Range all back in stock! Our full range of Novelties are back in stock, including novelty money boxes and toilet roll holders. 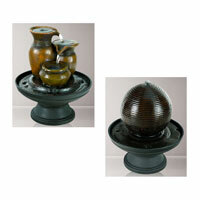 See the Novelties page on our website for all the details. A mirrored glass tile, each with it's own unique phrase. 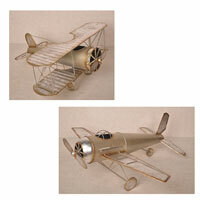 Extra large single wing and Bi-Plane, hand made in metal. 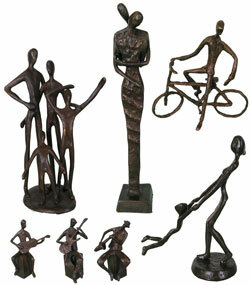 Our full range of cast iron figurines are all now half price clearance. 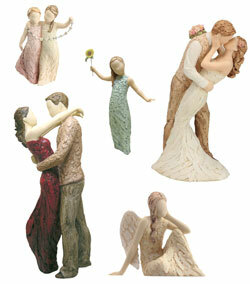 Our full range of More Than Words figurines are all now half price. 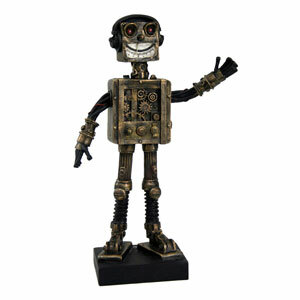 Last of our Steampunk line, Happy Robot reduced to clear.